It's officially summer here in Edmonton which means sunny days spent on the patio, visiting friends, and just enjoying all that summer has to offer. One of my go-to appetizer dishes in the summer when friends or over or one that I bring with me to a party is a good old hummus dip. When I first moved to Edmonton, there was a hummus dip that I always got from the Strathcona Farmer's Market. It was half regular hummus and half roasted red pepper hummus in the same container. I loved it and used to buy it all the time to have with my pitas, bagels, and pretty much anything I could dip or spread it on. A few weeks ago, I opened the pantry and saw a jar of roasted red peppers sitting there. 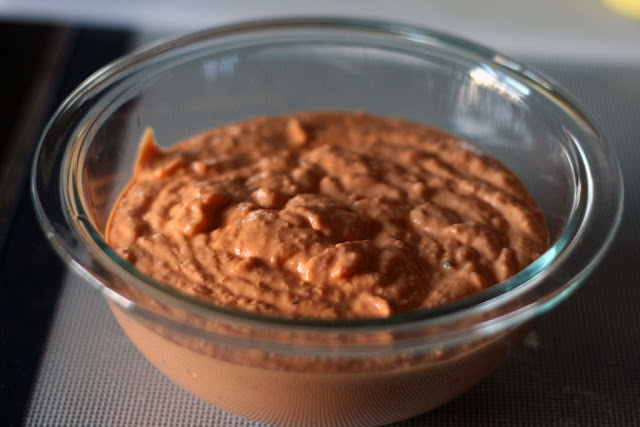 It dawned on me that although I often make our go-to hummus (and blogged it), I had yet to make my own roasted red pepper hummus. There aren't too many ingredients needed to make roasted red pepper hummus so I quickly gathered what I needed from our pantry. To blend all the ingredients together, I threw all the items into the Vitamix. 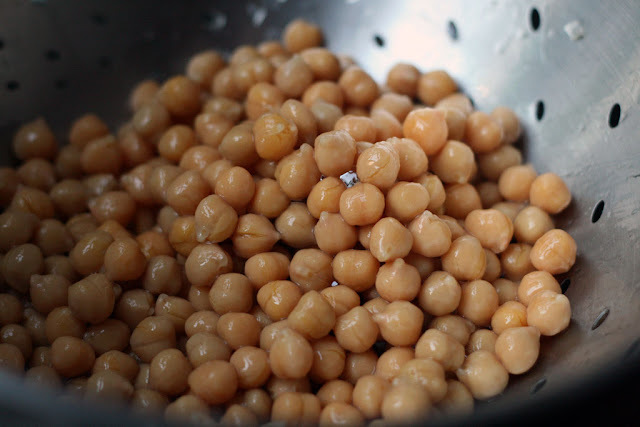 Drain and rinse a can of chickpeas and then place the chickpeas into the food processor or blender. 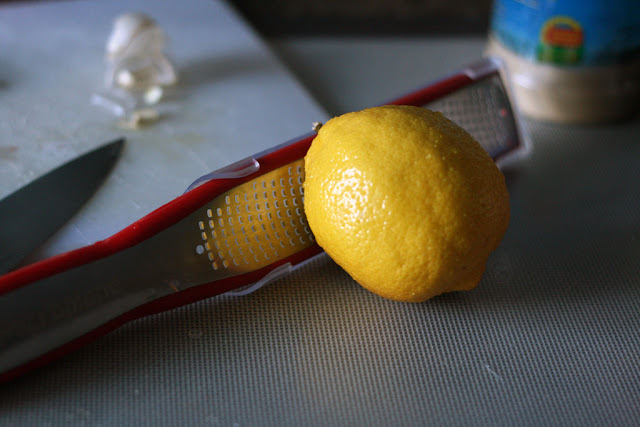 Zest the lemon. Then juice. 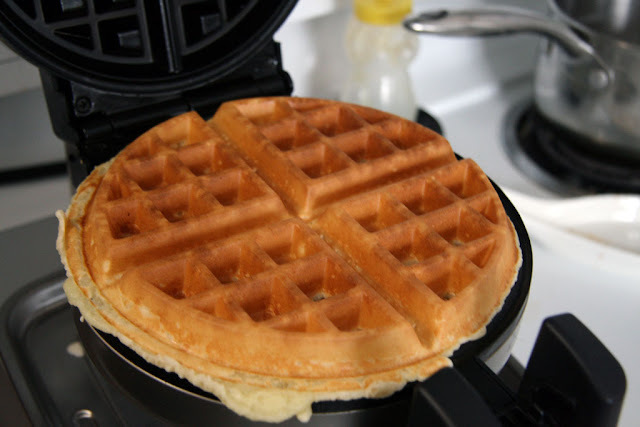 Add all ingredients into the food processor or blender. Puree until it is smooth. It should look creamy. Add more olive oil, salt & pepper as needed. 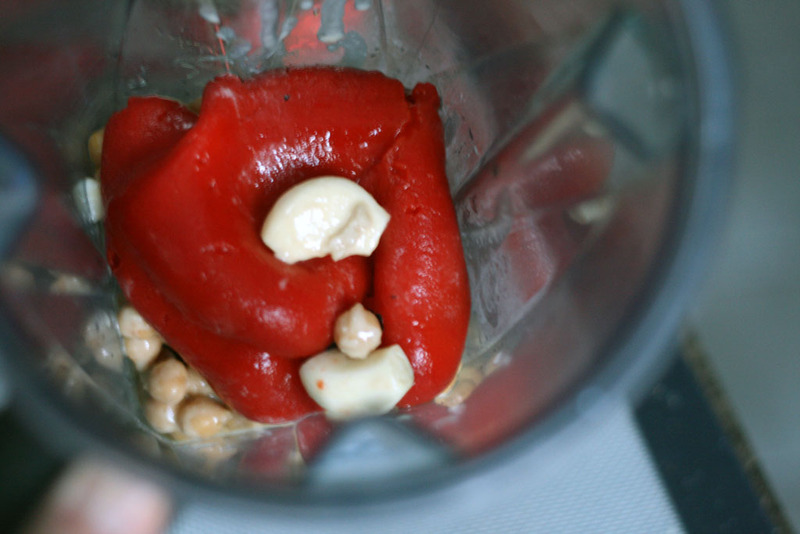 Follow the recipe above and you too will be well on your way to having your very own smooth roasted red pepper hummus. 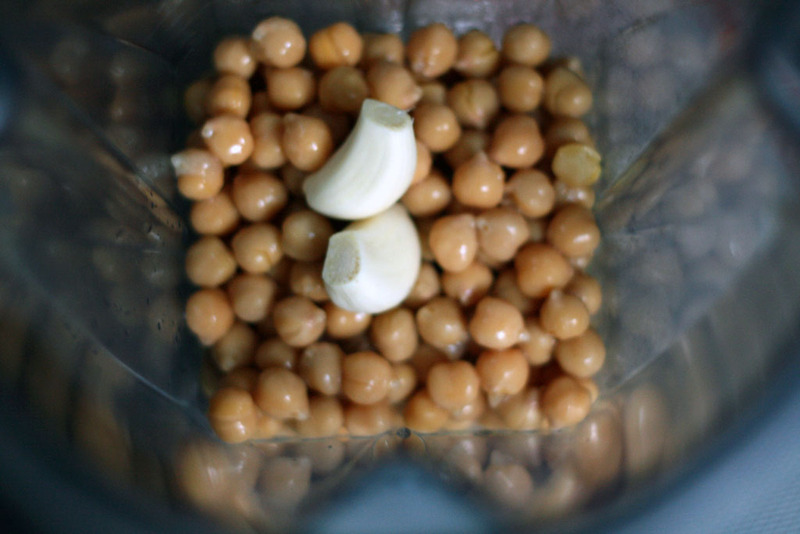 If you want more of a chunky hummus, blitz the ingredients a few times for a chunkier look and feel. 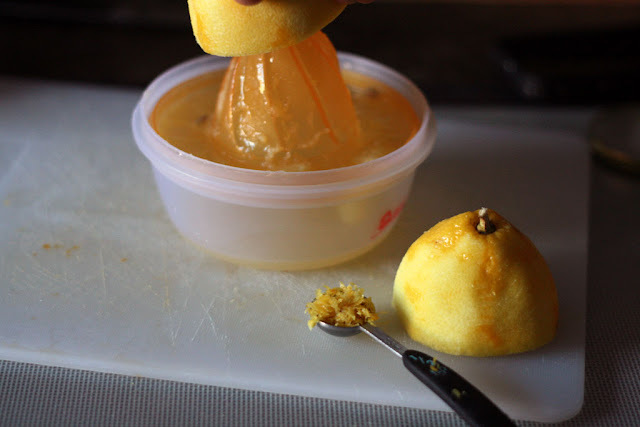 We love making hummus in our house - the kids love creating different flavours of hummus.love the addition of the zest - will totally make the flavour pop! Mm, where can you find Tahini paste in Edmonton! 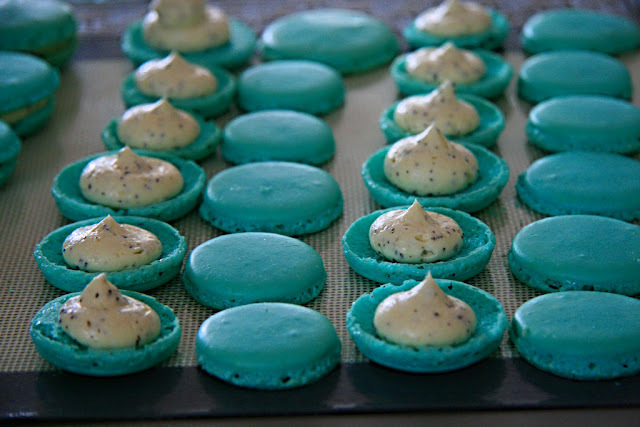 I'd like to give this recipe a whirl! 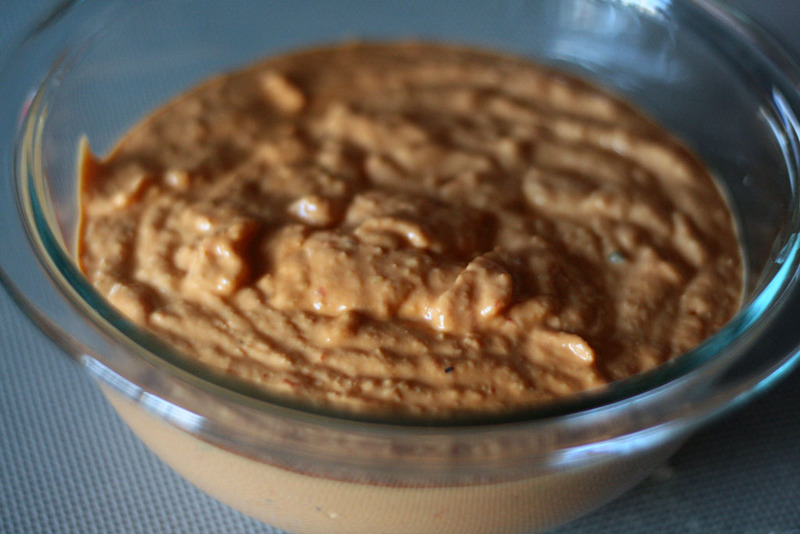 You can find Tahini paste anywhere! Superstore or the Italian Centre is where I usually pick up mine. Oooh red pepper hummus is one of my favourite flavours! I would add this to absolutely everything! I hope you do!! 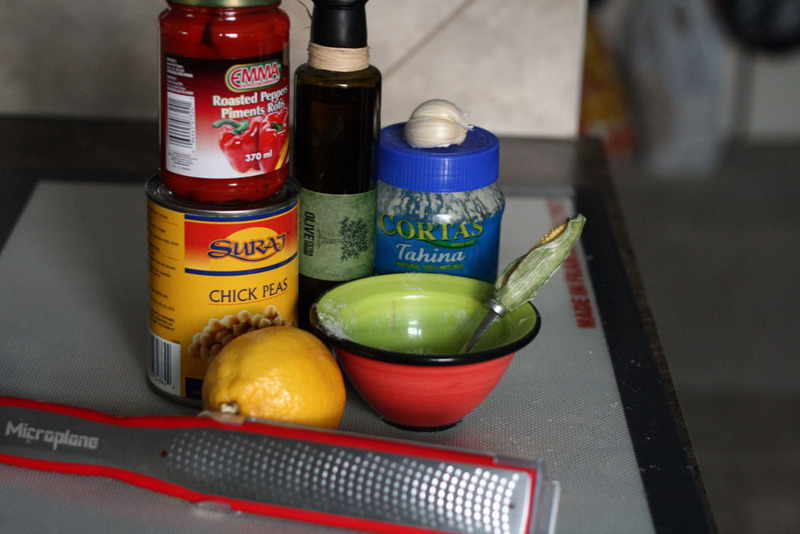 :) It also works really well as a gluten free version of fried/baked chicken. Just smother it on your chicken and bake/roast like usual.